After completing her GCSEs and A-levels at boarding school, Olivia da Silva chose LSBU and Criminology to pursue her desire to find a career that benefits others. “I chose to study this course after not being able to get into medical school, but I still wanted to study something that one day that would lead me into a line of work whereby I help people,” she says. “After speaking to a teacher at school I decided to consider Criminology, and from there I looked into joining the police force. A degree in criminology not only gives me some background into this area of work but also opens up opportunity to enter graduate-entry programmes." During her time at LSBU Olivia has loved being part of not only the academic side of the University, but also with the Students’ Union and the social side of things. “I am currently, and have been since the second year, the co-president of the LSBU Criminology Society. Our society has been hugely successful at enriching social sciences students’ degrees, with academic and fun weekly events, inside and outside the lecture hall. At the next LSBSU awards dinner we are hoping to win some prizes for the work we have done this year. Alongside this I am also a member of the LSBU Cheer Squad. The team is still quite new, but we are already beginning some awesome cheer stunts and preparing for competition. I have also recently become a member of the society guild for LSBSU, which means overseeing all the societies and campaigning for them within the University." 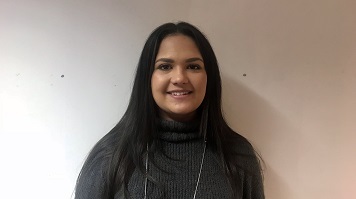 Currently in her third year of studies, Olivia is handing over the Criminology Society reins to the first and second year committee students and looking for work, so that once she graduates she can go straight into training. “As part of this, the LSBU Job shop has helped me massively to transform my CV, as before it was far too long and not very concise. After doing this I found it much easier to apply for jobs, and I also got help in creating a cover letter template."